The Strumble Height Monitoring Unit (HMU) is located near Strumble (STU) VOR below the centreline of UL9. The horizontal coverage area for the HMU is a 13.8 NM radius circle centred on position N51 56 00’ W004 40’ 00. In the vertical dimension, the coverage is from FL 290 to FL 410 inclusive. The site is unmanned and designed to operate continuously. Operators proposing to divert from an optimum route in order to fly over the Strumble HMU are strongly advised to check the NATCMA website or call the Strumble HMU status line on + 44 (0)1292 692760 for serviceability information. Every effort will be made to ensure that the promulgated information is accurate; however, operators should note that the equipment may become unserviceable without warning or prior notice. The flight should be planned to route via STU. Dispatchers should ensure that Item 18 of the flight plan includes both aircraft registration (if it is not already included in Item 7) and “RMK/HMU FLT STU” . Crews should aim to fly straight and level while within the coverage area of the respective HMU. Failure to do so may invalidate the result. 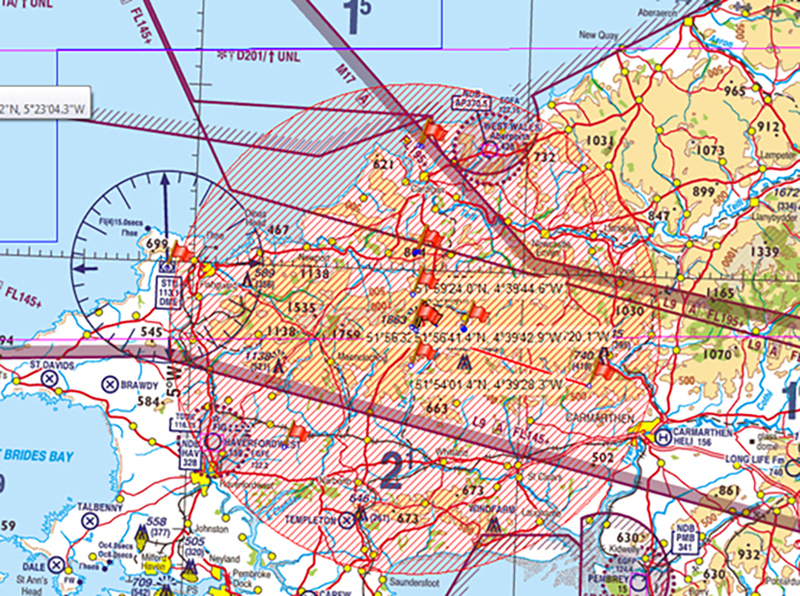 Prior to an overflight of the Strumble HMU, crews should transmit “… for HMU Flight” to ATC on initial contact and, if not RVSM approved, a request for a level between FL290 and FL410 (inclusive) should be made. Operational requirements permitting, the controller will endeavour to allow the aircraft to route through the HMU coverage area in straight and level flight. The HMU is capable of tracking many aircraft simultaneously. To that end, provided the above procedures are followed, aircraft height will be monitored and there will, therefore, be no necessity to carry out a second consecutive overflight. Operators wishing to ascertain the result of the overflight should complete and submit the HMU Request form. The Strumble HMU is currently serviceable.